The Foreign and Commonwealth Office said on Friday that any British citizens planning to travel to Kerala should monitor media reports. LONDON: The UK government has updated its travel advisory to India, warning British citizens to remain vigilant and avoid large public gatherings, following violent protests in Kerala over the issue of women entering the Ayyappa temple in Sabarimala. The Foreign and Commonwealth Office (FCO), which regularly updates its advice for travel to different parts of the world, said on Friday that any British citizens planning to travel to Kerala should monitor media reports. 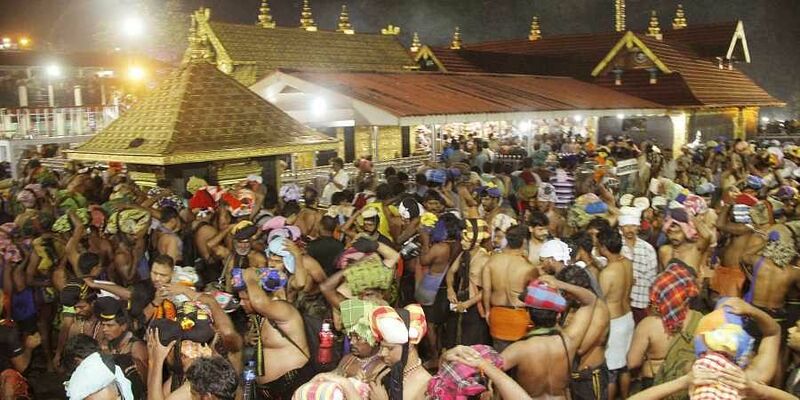 "There have been violent protests in some towns and cities in Kerala over the issue of women accessing the Sabarimala temple. Some public services have been disrupted in the wake of clashes between police and protesters," the FCO advisory said. "If you are in Kerala or due to travel there, you should monitor media reports closely, remain vigilant and avoid large public gatherings," it noted. The rest of the travel advisory remains broadly unchanged, advising visitors to India to "avoid protests or large gatherings", follow the advice of the local authorities and monitor the local media and any curfew restrictions that may be in place. It added, "Terrorists are very likely to try to carry out attacks in India. Recent attacks have targeted public places including those visited by foreigners. "There have been recent media reports suggesting Daesh (Islamic State) may have an interest in attacking targets in India. There may be an increased threat to places visited by British nationals such as religious sites, markets, festival venues and beaches. You should be vigilant at this time, monitor local media and take all precautions for your safety." Kerala has been rocked by protests by right-wing groups after two women of "menstruating age" offered prayers at the Lord Ayyappa temple in Sabarimala on January 2. Hundreds of people have been arrested so far in connection with the violence over the last few days.